Althea's First Fab Review: "We Are Never Meeting in Real Life"
A book review from another perspective: Althea joins the team and talks book. 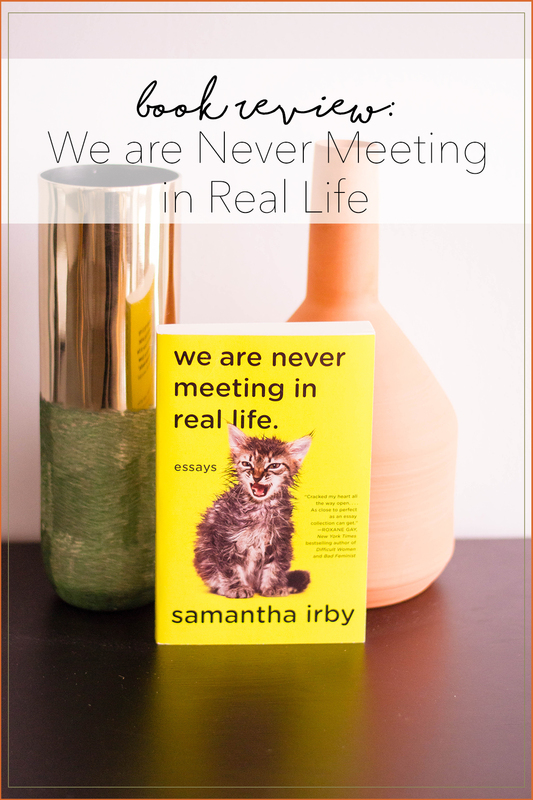 Here’s her review on We Are Never Meeting in Real Life by Samantha Irby. It’s funny how things work out. I have made lasting friendships from the unlikeliest places, situations, networks, etc. When I first met Althea, I noticed how much we had in common. Little did I know, we both grew up in the same small town (different age and different schools are what kept us from meeting earlier in life) and had the same interest in fashion and books. To be completely honest, I had no idea what to expect from this book- a collection of essays? The last time I read a collection of essays (that wasn’t something related to school) was a few years ago. I had time to kill before meeting my family, so I bought that book to read in the meantime. It had rave reviews, and one of the employees working said she had loved it. But I really didn’t. I got halfway through the first essay, shut it, and returned it the next day. Why am I bringing up this book that I won’t name? Fair question. It’s because I had the complete opposite reaction to We Are Never Meeting in Real Life. 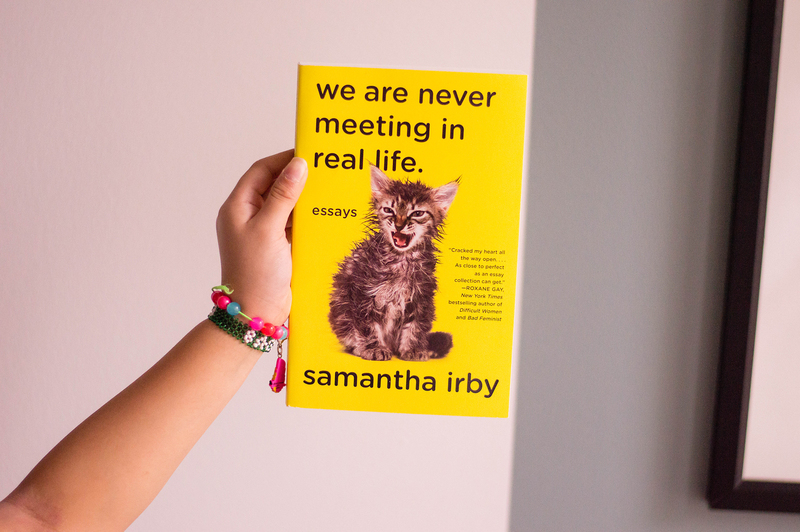 Samantha Irby’s writing has the 3 R’s: real, raw, and relatable. I found myself nodding along with her, having my heart broken, and laughing out loud. You feel like you’ve known her your whole life, or she’s been watching you, even some combination of the two. All those really embarrassing things you did while “in love with that guy”? She’s got it covered. Coming to accept your body for the way it is? It’s in here. Irby is upfront about her struggles with her various illnesses and how that’s impacted her life. You start off reading her application to The Bachelorette- yes, the TV show. 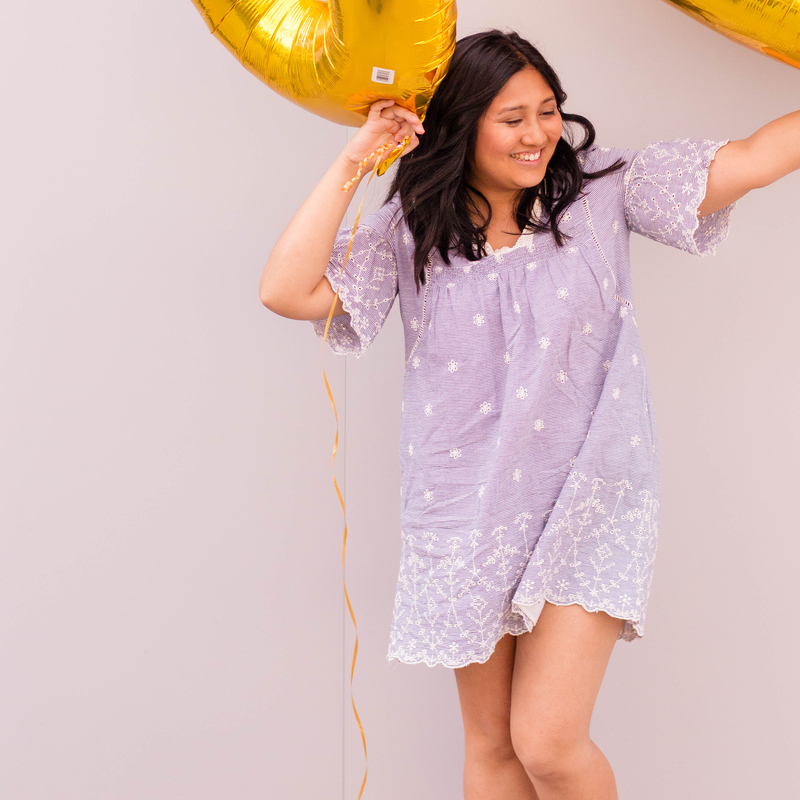 From there, you move throughout her life, and like I said, Irby is such a relatable person that you really feel for her and can laugh with her. Even before I finished it, I was telling all the girls in my life to read it. 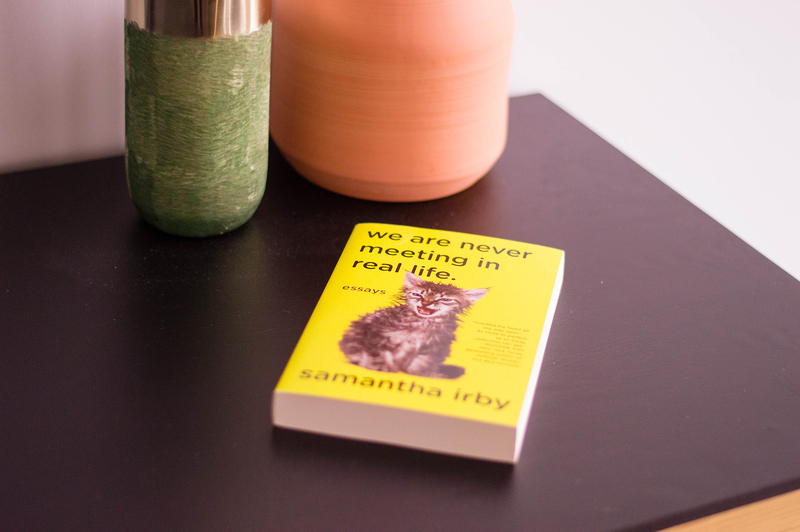 We Are Never Meeting in Real Life is a wonderful reminder for everyone, especially young women, that you are not alone. I don’t know why you’re still sitting here reading this- you definitely need to get to your local bookshop ASAP and get a copy. This sounds like an interesting book, I love that you were recommending it before you had even finished that is a definitely a sign of a good book! I’m an avid reader and I’m always looking for book recommendations. I leave for a beach vacation Sunday and I’m going to download this book to read while relaxing at the beach. This sounds like a really interesting book. I’m always looking for a great book to read when I’m traveling and this one sounds like what I would be very interested in. Have to agree when I see a collection of essays it brings me back to school and studying. Which isn’t fun. I will look for this book and give it a go. I love to red short stories or a compilation of essays like this. The three r’s sounds like it is my style so I will look for this for my summer reading. This sounds like my kind of book. I love to read, so I’ll be sure to add this to my list. I like the cover! You’ve convinced me, I need to pick up this book! That cover art sure does grab your attention! I’m always on the hunt for new books I’ll check this one out for sure. I love the title and it sounds like something humorous. I’m hoping to one day get a book out there. Right now I keep rewriting the first chapter thinking its crap. Sounds like an interesting book, and if it is a collection of essays, would probably be easier for me to read, since I don’t have a lot of time for reading. I get a lot of interruptions and this sounds like it would be interesting and also doable to read in portions. I actually really like reading essay collections. This one sounds like it would be right up my alley. I love to read and love finding interesting book specs on blogs. I will have to check out this book!! This looks like a really nice book to read on a lazy afternoon. I need to pick it up! I really loved this review. “We Are Never Meeting” again sound like my kind of read! I am currently reading Good Health Good Life by Joyce Meyer. This definitely sounds like a good read! Thank you for sharing. If you end up reading it, let us know your thoughts! We love hearing different perspectives on titles we’ve recently read. I am not sure that I have ever read a book written like this before! It has completely intrigued me! I am going to have to check it out!